Red Funnel has teamed up with BreakFree Holidays to provide exclusive discounted ferry travel to the Isle of Wight from Southampton. We would like to thank you for choosing us and we very much look forward to welcoming you aboard. Please complete the form below to make a car ferry booking at the exclusive BreakFree Holidays rate. You will need your preferred travel dates/times and your credit/debit card to hand. Enter your preferred sailing dates (see available dates for this offer below), approximate travel times, the number of people travelling and your cars length & height. Click 'Continue' and follow the instructions. Once the booking has been made, the final screen will display your booking reference and you will be sent an eTicket - you need to present this at check-in on arrival. To obtain the cheapest online fares early booking is advisable as the number of allocated places on each sailing is limited. If the booking system quotes a higher fare this is because the space at the lower fare has already been taken - if this happens, please choose a different sailing time. To extend the length of your stay just enter the dates into the booking form below and the booking will be priced at the BreakFree Holidays special extended rate. There will be a £15.50 supplement per leg for longer staying breaks. This offer is valid on the dates specified and is exclusive to BreakFree Holidays. 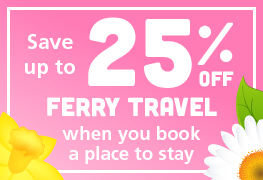 Only one return ferry booking is permitted per voucher. 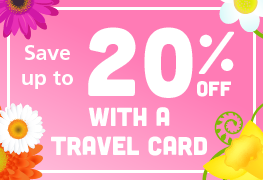 Please note, this offer is only valid for travel starting from Southampton. 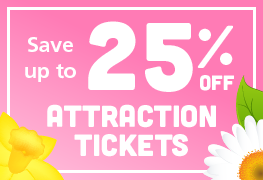 The offer is subject to availability with restricted capacity on all sailings. Once a booking has been confirmed and paid for, no refund is available in the event of cancellation or part-use. 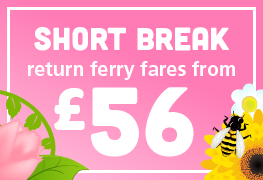 Ferry crossings for extended breaks are also available for a £31 supplementary charge (accommodation for extra nights should be arranged directly with the holiday park). For extended breaks and amends to bookings please call 0844 844 9988, a £5 fee applies to booking amendments. Not valid in conjunction with any other Red Funnel offer or promotion. Please ensure your outward date matches one of the valid dates in the list above and also that your return travel date is correct (the day that you checkout from your accommodation).